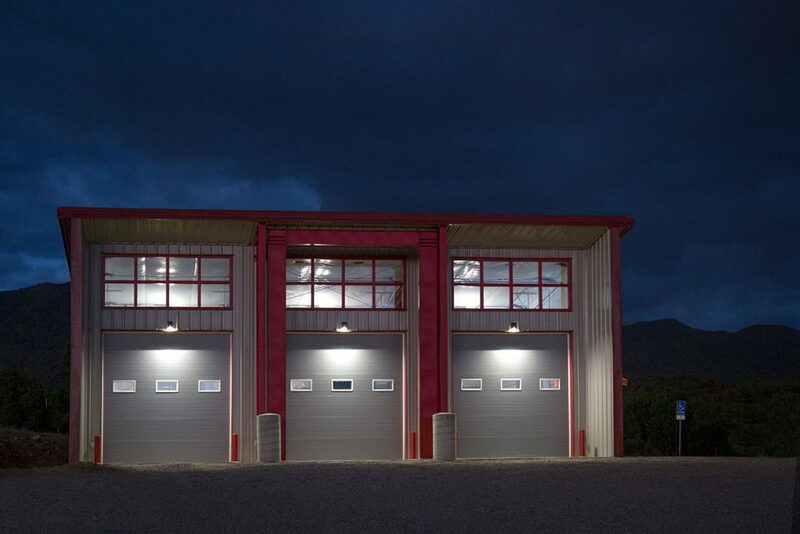 The new San Cristobal Fire Department was a joint effort with contributions made by federal, county and state officials. 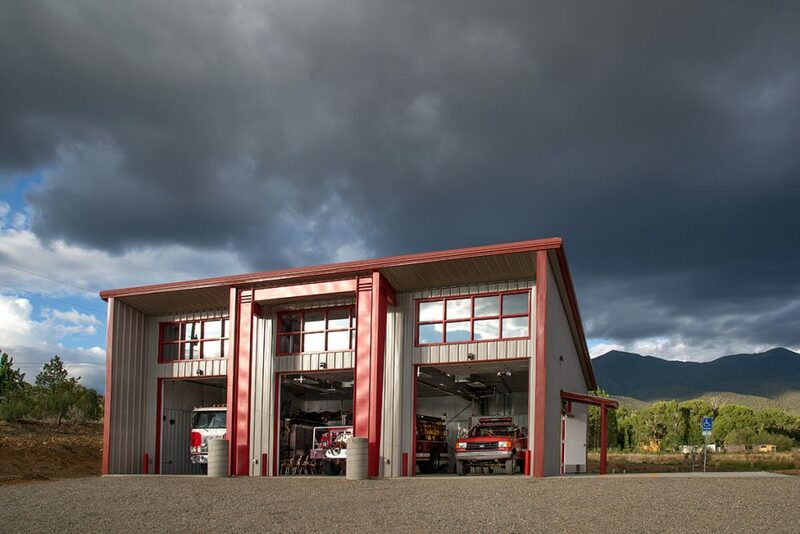 Living Designs Group Architects orchestrated officials from the U.S. Forest Service, the State Fire Marshal Office, the County Fire Marshals Office, and the staff of Taos County to create the new rural fire station located in the small mountain village San Cristobal in Taos County. The building has three bays to house fire trucks and firefighting equipment. 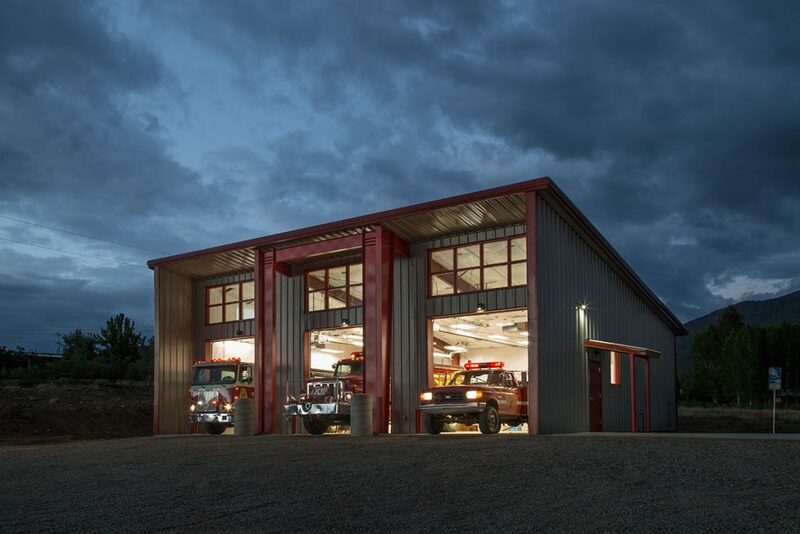 The structure is a pre-manufactured steel building that was custom designed as a shed roof with high transom windows facing west and south to provide natural daylight. The orientation of the building also provides a clean dry apron as the approach heated by sunshine, and the shed roof diverts water to a collection system. The simple shed roof form is designed to collect rainwater and store the water for use by the fire trucks as the domestic water infrastructure is limited in the village. Funding for the project included $500,000 from the state legislature through the efforts of Reprepsentative Bobby Gonzales, and an additional $350,000 from Taos County, three grants from state forestry and a few private donations, according to Eric Vom Dorp, a key community figure and a leader of the San Cristobal Volunteer Fire Dept. 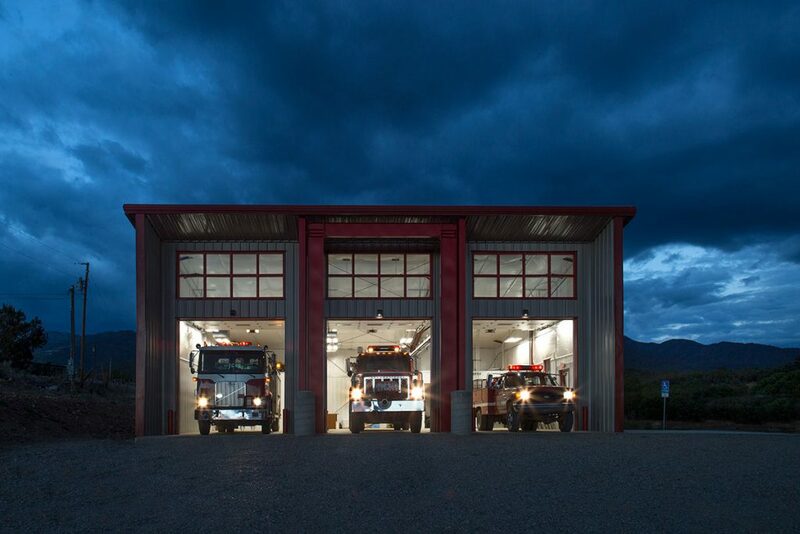 San Cristobal Fire Department has four trucks, including a fire engine, a type 3 attack truck, a type 6 brush truck, a 4-wheel drive vehicle for rough terrain and a 2,000-gallon tank truck.